At the beginning of February, Apple updated its browser based iTunes Preview to support apps. This added to the existing music support. Today, Apple made available the ability to browse App categories. For those unfamiliar with iTunes Preview, in November 2009, Apple introduced â€œiTunes Previewâ€ and it was a web based preview for when users selected iTunes links on websites that have an “iTunes” link or button. Before iTunes Preview, when a user would select an iTunes link in a web browser, the browser would open a blank page and then automatically launch the full iTunes application. 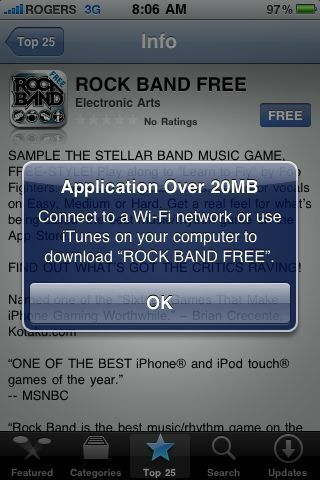 If you did not have iTunes installed, you were prompted to install it to access the linked content. With iTunes Preview, clicking on an iTunes link on a website opens up a new web based iTunes pane within the browser. 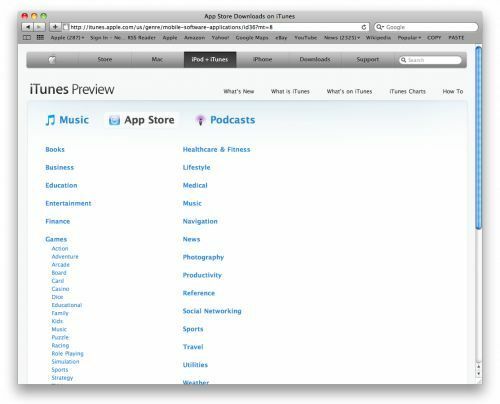 As of today, iTunes Preview now supports music, 30-second previews of music, viewing of single iPhone/iPod Touch Apps, and now allows users to browse the App Store categories directly from a web browser.